Provides a restful night's sleep for your guests, too, by eliminating the discomfort of metal cot and sofa bed frames. Our Folding Bed Board is rigid, sturdy and lightweight. It will make your mattress feel firm and stop sagging of the bed spring. 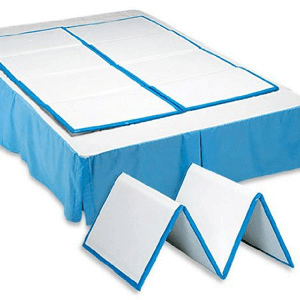 Folding Bed Boards - End Sagging Mattress.